A golden opportunity for investment into the Indian Real Estate Sector. There has never been a better time to invest in Indian Real Estate Markets than now. The rupee has depreciated more than 14% in this calendar year YTD, which means a straight saving of 14% on real estate purchases in India on overseas investment. The Indian economy has grown leaps and bounds over the last 2 decades and is still going strong being one of the fastest developing economies in the world. The scorching pace of growth in economy has been complemented with a rapid expansion in Real Estate sector in Tier-I and Tier-II cities in India. However, last few years have been lack-lustre for the sector owing to inventory overhang and delivery delays. Last 3 years, have seen systemic changes on policy front in Real Estate with the Demonetisation initiative in Nov – 2016 and then Benami Properties Act and Real Estate Regulation Act in 2017. These policy reforms have brought in a significant improvement in the transparency and credibility of Real Estate Sector in India. Real Estate investment in India is now safe within a legal framework and jurisdiction focused on customer rights. Thereafter, the country has seen a significant improvement in demand from end-use customers and NRI investors alike. The stringent requirements of RERA have resulted in a reduction of launches and thereby reduced inventory overhang and excess supply in the market. Key occupation centers of the country such as Mumbai and Bangalore have infact, seen a rental return of upto 5% p.a. in residential sector, which is more than the bank saving interest. A strong rental in these cities is thereby encouraging consumers to shift from rentals to owning a house with developers facilitating the same though interest and rent subvention schemes. With the above mentioned factors, the current significant depreciation of Rupee presents a golden opportunity for investment into the Indian Real Estate Sector. Bangalore, as an established and growing IT and Technology workplace is seen as one of the best beneficiaries of the current scenario. Bangalore, in the last 2 decades has attracted talent from across the country who want to make it their hometown due to its pleasant weather and abundance of white-collar job opportunities. 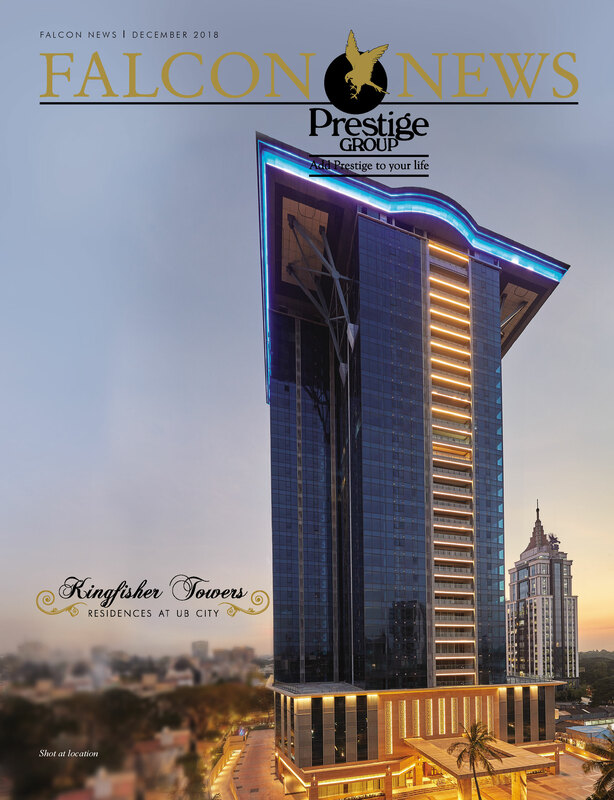 Prestige, as the largest and most reputed Real Estate Developer in Bangalore and South India, provides the best options for such an investment. Prestige offers a wide range of projects in all of Bangalore and in South Indian cities such as Hyderabad, Chennai, Mangalore and Kochi starting from 50,000 USD only. Contact our representative Mr. Pallab at 78993 67579 for further details.